As Havana’s lead “diplomats” on U.S.-Cuban relations, they handled the Alan Gross negations, the return of three of Havana’s jailed spies, and the artificial insemination of DI officer Adriana Perez O’Connor (wife of freed spy Gerardo Hernandez). Perez was a member of the Wasp Network – the largest Cuban spy ring ever known to operate in the US, but after her husband’s arrest, was allowed to return to Havana in a humanitarian gesture. Incidentally, when details are eventually released regarding the Obama administration’s secret talks to restore US-Cuba relations, Vidal and Machin will undoubtedly be at the center of events. From the DI’s perspective, MINREX’s North America Division is now seen as a de facto wing of the spy service. This assignment is so important that three former members were appointed to ambassadorships. Now we are witnessing the unprecedented return of AmbassadorGustavo Machin to serve as Josefina Vidal’s deputy. Given this pattern of events, I think it’s fairly safe to say Vidal is Raul Castro’s choice to be the first Cuban Ambassador to the United States. Little is publicly known about Vidal’s espionage career. In May 2003, the US expelled 14 Cuban diplomats for espionage. Seven diplomats were based at the Cuban Mission to the United Nations and seven at the Interests Section. 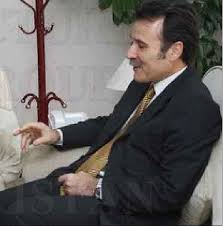 Among the seven Washington-based spies declaredPersona Non Grata was First Secretary Jose Anselmo Lopez Perera. 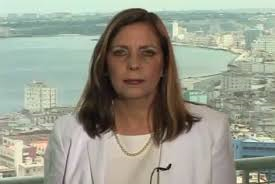 His wife, First Secretary Josefina Vidal, also known to the US as a Cuban Intelligence Officer, voluntarily accompanied her expelled spouse back to Cuba. DI officer Johanna Tablada preceded Machin in his second tour as Deputy Division Chief before her appointment as ambassador toPortugal. She was suspected of being assigned to Department M-I, the elite element focused on targeting the US intelligence community, universities, and Congress.